YouTube is now supporting true HD 1080p. 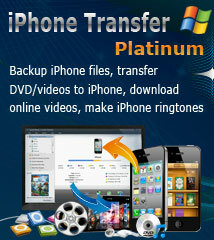 Users now can upload 1080p HD videos and share those glorious High Definition quality videos with friends. Previously, the maximum upload encoding was stuck at 720p. So now resolutions will go from 1280×720 up to 1920×1080 which is really considered to be true high-definition. Moreover, YouTube is going to re-encode any previously uploaded video that was 1080p-capable. And for some video lovers who are willing to watch YouTube videos offline, the guide for how to download HD YouTube videos to computer hard drive is helpful. Please follow it and try now. 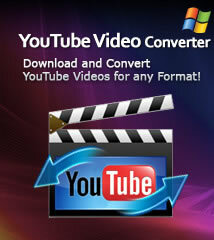 - Batch download YouTube videos including High-definition YouTube videos. Step 1: Download the YouTube HD Downloader software according to your computer OS, install and launch it. Step 2: Open your web browser, go to YouTube.com, search HD videos you'd like to download on YouTube.com. Step 3: Create a New task. Click "New Download" button on the toolbar to pop up the "New Download" window. Tip 1: Go to the address bar, copy and paste the video URL into the "URL" textbox. 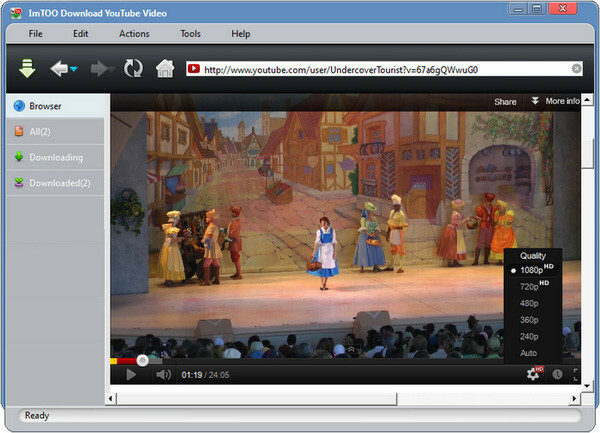 Tip 2: Click "Browse..." button to select a existing folder or create a new folder for saving your downloaded videos. Tip 3: Choose the Start Now option to begin your task right now or choose the Manual option to start your task anytime you want. Step 4: Start another task. Repeat the Step 3 to download another HD YouTube video. How to convert YouTube to MPEG on Mac?